COOPER Cronk declared after Melbourne’s incredible 34-6 grand final win over the Cowboys that “there are no fairytales” in rugby league. But there was plenty of evidence to the contrary after the methodical Storm blew the gutsy Cowboys away to take the 2017 NRL premiership. Playing his last game in Melbourne colours, and possibly his last game in the NRL, Cronk’s future was always going to be a focal point after the game whatever the result. Immediately after the game, he would not shed any more light on whether he will continue his playing career with a new club in Sydney next year, other than admitting it would be tough to walk away. “I will celebrate this and wake up with a hangover for a couple of days and have a think about it,” Cronk said. Whatever his decision, it was a fitting farewell to the Storm for Queensland champion Cronk – and despite what the brilliant halfback might think, his game was just one of many fairytales to play out at ANZ Stadium in front of a crowd of just under 80,000. At the top of the tree was another premiership to Immortal-in-waiting Cameron Smith, who lifted the trophy to continue an incredible personal season that has seen him captain his club to the premiership, Queensland to Origin victory, and be crowned best player in the NRL as winner of the Dally M Medal. Many expected Smith to add the Clive Churchill Medal to that burgeoning trophy room, with a dominant display out of dummy half featuring a vintage running game. 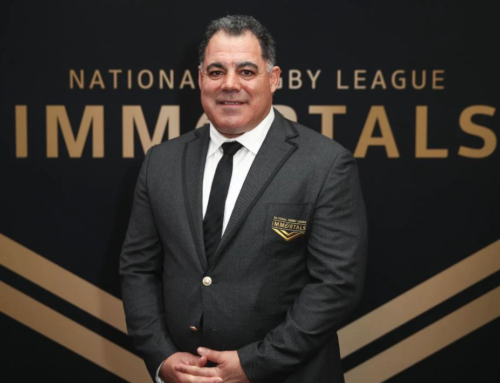 But he was pipped for that honour by long-time teammate and close friend Billy Slater, who celebrated a fairytale of his own with the premiership win. Slater struggled to hold back the tears after the game, with the emotion of two wrecked seasons due to injury overflowing with the realisation he not only had another premiership ring in his keeping, but the honour of being named best player in the grand final as well. 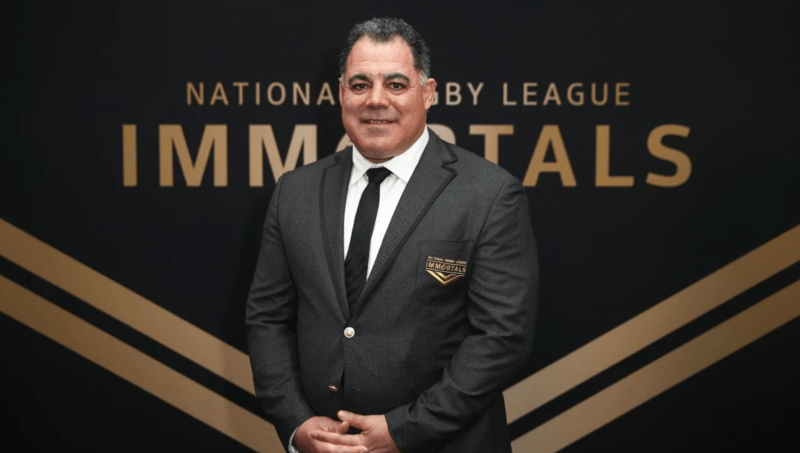 While Slater too toyed with the idea of retirement, it seems likely now the man rated as the greatest fullback to ever play the game will go around for at least one more season – in news that will warm the hearts of fans of the Storm and the Maroons. But even if Slater does play on, it is certainly the last time we have seen the “Big Three” of Smith, Slater and Cronk play together at club level. Fairytales also came the way of Jordan McLean, Tohu Harris and Slade Griffin who, like Cronk, will be leaving the club at the end of the year. Queenslanders Cameron Munster and Tim Glasby continued their dream seasons, with the grand final win capping a year that saw both players make their Origin debuts for Queensland. But on the other side of the field stood the North Queensland Cowboys, digesting the unpalatable reality that fairytale finishes don’t happen for everyone. In all honesty, the Cowboys were a Cinderella story just making it to the grand final. Losing their co-captains and two best players in Johnathan Thurston and Matt Scott early in the season saw the Cowboys at one stage slip out to 150-1 in premiership betting. But the Cowboys never gave up, and showed remarkable tenacity and grit to not only make the finals, but slay three of Sydney’s highly-fancied teams in the play-offs to shape-up to the Storm in the grand final. However it only took three minutes for the Cowboys’ night to unravel, losing durable forward Shaun Fensom with a broken leg after he was accidentally collected by a teammate while attempting a tackle. It took 10 minutes for officials to stretcher Fensom from the field, and he watched the rest of the game from a hospital bed. The Cowboys were typically brave, but having to play 77 minutes of a grand final against a great team like Melbourne was always going to take a toll. With Melbourne’s supreme defence able to keep Cowboys guns Michael Morgan and Jason Taumalolo largely contained, the Storm battered North Queensland into submission with unrelenting waves of attack. The Storm led 18-0 at halftime, and the game looked as good as over. The Cowboys were able to score first after the break to give hope to their legion of fans, but Melbourne again found another gear, piling on three tries in nine minutes to finish North Queensland off.